With the health law upheld by the Supreme Court, the state that boasts the largest number of uninsured is bent on losing that distinction. At a time when only 14 states and the District of Columbia have even authorized the legal framework for the state-based insurance markets called for in the law, California is sprinting towards the law’s October 2013 deadline to begin enrolling the uninsured. Along the way, state officials are betting they’ll become a national role model. Lee has already hired 36 employees, awarded a $359 million information technology contract and begun a marketing push to an estimated five million eligible uninsured. “California is in the vanguard,” said Bill Kramer, executive director of national health policy for the Pacific Business Group on Health, a business forum to help employers figure out how to provide affordable health. 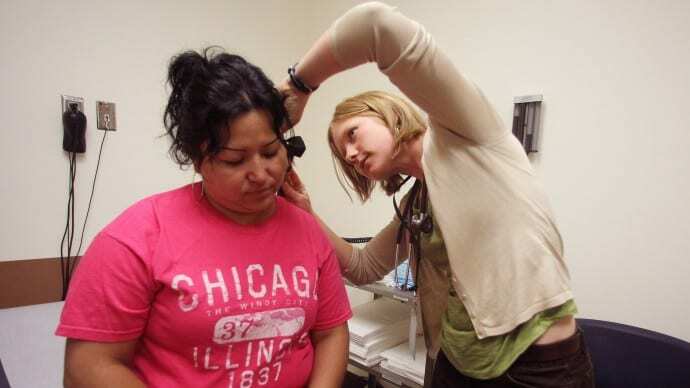 Much is at stake in the nation’s most populous state where almost one in five people is uninsured, and the legislation is projected to bring more than $3.4 billion a year in new health care spending, according to a study by the Bay Area Council Economic Institute. The online markets, called exchanges, are the place where individuals without employer coverage would determine their eligibility for subsidies and then compare plans and purchase a policy. And anyone who’s visited a state government website in California (trythis one, for instance) knows that making one easy to use will be no small feat. As required by the federal law, California’s exchange offerings will be classified as gold, silver or bronze to signify the level of coverage. A family of four headed by mid-40s adults earning $35,157 a year might choose a $14,245 silver plan costing $1,187 a month; after subsidies, they would pay $117 a month, according to an online subsidy calculator. With $70,275 in income, the same plan would cost that family $556 monthly, after subsidies. Subsidies top out at about $93,700, where a family of four would pay $740 a month. As called for in the federal law, California plans to open its shopping portal on Oct. 1, 2013, with insurance coverage available Jan. 1, 2014. By 2016, the state expects more than 2 million people to have purchased insurance through the exchange. Lee knows other states will be watching how he does with this exchange. Whether he and his staff reach the promised land, or catch arrows in the back remains to be seen. There is plenty of work to be done. The exchange’s governing body, which has held open hearings for months, still must decide which insurance companies will participate in the exchange and how much the policies will cost. The organization has already begun a major marketing push, to encourage people to sign up. Lee says his organization will be meeting with everyone from church groups to Hollywood executives to get the word out. (“You’ve heard of product placement?” he asked. “How about movies and TV shows telling stories about how people get insurance coverage.”) He said retailers and social media sites — Google, Facebook, Target — will also be approached. This entry was posted on July 2nd 2012 at 4:46pm/16:46 and is filed under Live News Column 1, Politics. You can follow any responses to this entry through the RSS 2.0 feed.